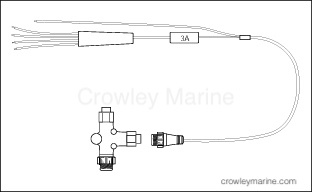 This instruction sheet tells how to install a I-Command®/NMEA 2000 power supply on a multiple engine network. The power supply kit consists of a power harness assembly (a female locking cable connector, a ground wire, a fuse housing and 3 amp fuse, four power wires) and a network T-connector. It can be used to wire four different switches. An accessory switch and/or multiple engine ignition switches can be used. The network will be powered when any of the switches is turned on. WARNING: Never connect more than one power source to a I-Command® network. If you connect multiple power sources to the network severe damage to the network, devices and boat can occur. Refer to the I-Command Installation Guides, P/N 354044 or P/N 353571, for additional information related to network installation. If boat has a NMEA 2000 network, Do not proceed with the installation of this multiple engine power supply kit unless all other network powering methods are removed. 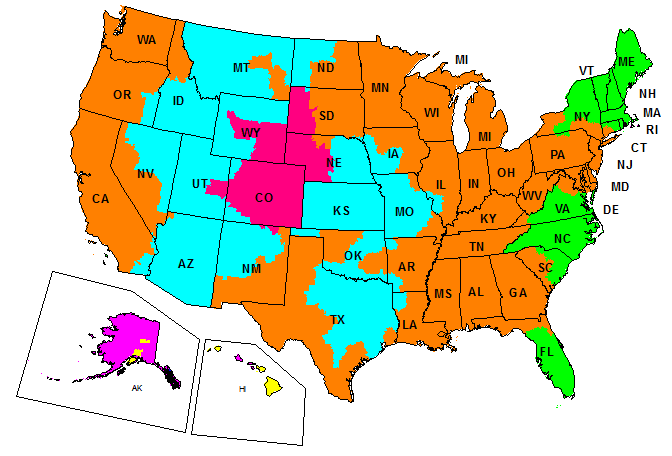 Contact the boat dealer or manufacturer to learn how to disable or remove its network powering method. Once you are sure all other network power has been removed, proceed to installation. The power supply kit for multiple engine networks has five wires: a black (-) ground wire, which branches off the main cable, three purple (+) wires and a red (+) wire. 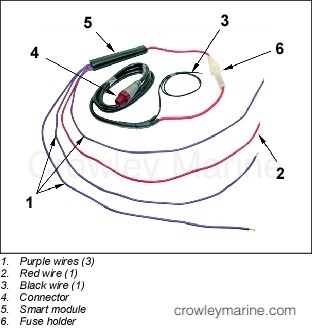 Connect one purple wire to the switched battery terminal (“A”) of each key switch or the purple wire of each ignition TNT harness. Connect the red wire to an auxiliary power source or panel switch. This connection allows you to power the network without turning on a key switch. The red wire could also be connected to the key switch of a fourth engine. Connect the black wire to the common ground for the boat and engines. Use quality connectors and seal all connections to prevent corrosion. Cover the end of all unused wires with electrical tape. Route the cable connector to the network buss and make the connection using a T-connector. The smart module on the power supply harness prevents the four power wires from providing power to the network at the same time.